Westkin Associates’ team of London based immigration solicitors are on hand to assist you with all types of immigration law. 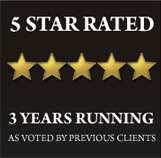 With over 16 years experience we have worked across a wide number of cases and have built up the knoweldge, experience and ability to carefully advise on all types of cases. We tailor our approach on a case by case basis meaning that our advice is based explicitly on your circumstances, increasing the likelihood of recieving the decision you want. 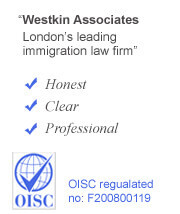 Contact our team of immigration solicitors on 0207 118 7868, via info@westkin.co.uk or via the Enquiry Box on this page. We are here to help you! If your child was born in the UK he or she may be eligible to apply to register as a British Citizen. The British Nationality Act 1981 provides various routes through which your child could acquire citizenship depending on your personal circumstances. • If you (as the parents of a child born in the UK) have now become British Citizens or are settled in the UK your child will be entitled to register under section 1 (3) of the Act. • If your child was born in the UK on or after 01 January 1983 and has lived in the UK for the first 10 years of their lives your child will be entitled to register under section 1 (4) of the Act. If your personal circumstances do not fit into any of the above, applications can be made to register a child under Section 3(1) of the British Nationality Act. These applications are made on a discretionary basis. If as parents you are applying for British Citizenship, your child may also be registered as a British Citizen if he or she does not fit into the criteria of 1(3) or 1(4). Citizenship will be granted if both parents are granted citizeship or one has a citizenship and the other has settled status. How can Westkin assist with your application? Contact our immigration solicitors today on 0207 118 7868, via email on info@westkin.co.uk or using the Enquiry Box at the top of this page. Our expert teams can answer your questions, advise as to the strength of your application and assist you in all areas of your application.